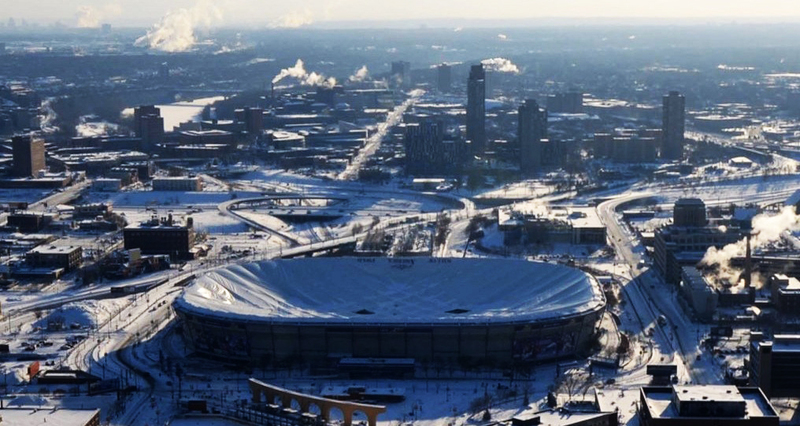 MINNEAPOLIS- Friday, January 17, 2013 was another milestone day at the Metrodome. The iconic inflatable roof came down, so demolition can proceed for the new Vikings stadium. Cameras, however, were be placed inside and around the Dome, so the deflation would not go unseen. The field turf is already torn up and rolled. Blue plastic seats lay in piles. The light standards are down. Once down, workers will tie down the fabric, and start cutting it into pieces.